The native of North York, Ontario has proven over the course of the past two seasons that he is a capable scorer at the NHL level. The New York Islanders have assembled a nice nucleus of young, talented players that they hope can continue to grow and be the pillars of their club for the foreseeable future. 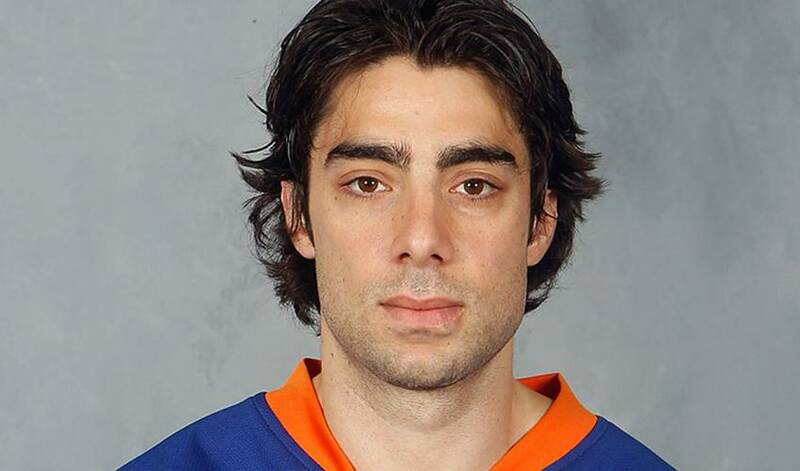 Obviously, as a #1 overall draft pick, John Tavares gets a significant amount of recognition, but another player that has been a consistent point producer and a nice compliment to Tavares is Matt Moulson. The native of North York, Ontario has proven over the course of the past two seasons that he is a capable scorer at the NHL level and a player that can dominate some of the tougher areas of ice in the offensive zone. He didn’t have as direct a path to the NHL as many of his peers who he grew up playing against in the ultra-competitive Toronto minor-hockey scene. After playing some Tier II junior in the GTA, Matt decided that the NCAA was the best route for him, accepting a scholarship at Cornell University to play for their Division I hockey team. After a strong four-year career there, where he increased his point totals in each season, Matt, who was originally drafted by the Penguins in the 9th round in 2003, signed as a free-agent with the Los Angeles Kings. He would spend most of his time with the Kings organization with their AHL club in Manchester, honing his skills and waiting for his chance. After agreeing to a deal with the Islanders as an unrestricted free-agent in the summer of 2009, Matt finally got his full-time shot in the NHL. He has certainly made the most of it. His tenacious forecheck and talent around the net have seen him become a nightly scoring threat for the Isles. As the team in Long Island continues to try to become a factor in the Eastern Conference, there is no doubt the Islanders will need Matt Moulson to continue his strong play for their goals to be achieved.